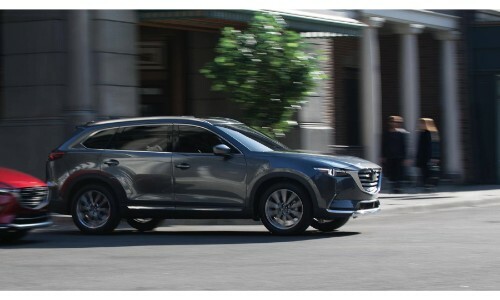 Home » Mazda CX-9 » What is Mazda’s i-ACTIV AWD® and How Does it Work? Mazda’s unique all-wheel drive technology, titled as i-ACTIV AWD®, is available in the 2019 models of the Mazda CX-3, Mazda CX-5, and Mazda CX-9 SUVs. So, what is i-ACTIV AWD®? How is it different from other automotive brands’ all-wheel drive applications? How does i-ACTIV AWD® work? What is Mazda i-ACTIV AWD®? i-ACTIV AWD®, now known as Predictive i-ACTIV AWD®, is Mazda’s unique all-wheel drive function. As with other all-wheel drive systems, i-ACTIV AWD® is used for slip protection and traction control. However, Predictive i-ACTIV AWD® is distinct in that it monitors weather, road condition, and the braking patterns of the driver to gauge the correct amount of power delivery for both acceleration and braking. Predictive i-ACTIV AWD® provides your vehicle with the optimal amount of traction no matter the terrain or weather. Which Mazda Models Have i-ACTIV AWD®? As said above, i-ACTIV AWD® is available in the SUV models found in the Mazda catalog. That would be the 2019 Mazda CX-3 sub-compact SUV, the 2019 Mazda CX-5 compact SUV, and the 2019 Mazda CX-9 midsize SUV. However, i-ACTIV AWD® isn’t a standard inclusion with these models. For the 2019 Mazda CX-3, i-ACTIV AWD® is available on all of its trim levels. Those are the Sport, Touring, and Grand Touring trims. For the 2019 Mazda CX-5, i-ACTIV AWD® is available on its Sport, Touring, and Grand Touring trim levels. i-ACTIV AWD® is standard on its Grand Touring Reserve and Signature trim levels. 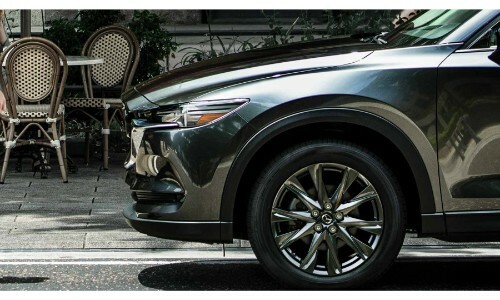 For the 2019 Mazda CX-9, i-ACTIV AWD® is available on its Sport, Touring, and Grand Touring trim levels. i-ACTIV AWD® is standard on its Signature trim level. Ready to get a reliable vehicle for the coming winter months? Find your preferred Mazda vehicle with all-wheel drive here at Marketplace Mazda. We’ve got new 2019 models of the Mazda CX-3, Mazda CX-5, and Mazda CX-9. All of these builds have trims with i-ACTIV AWD® for you to choose from. To learn more, browse our online inventory or contact us. The Marketplace Mazda dealership is located in Rochester, New York within Monroe County. This entry was posted on Wednesday, December 12th, 2018 at 4:22 pm	and is filed under Mazda CX-9, Technology. You can follow any responses to this entry through the RSS 2.0 feed. You can skip to the end and leave a response. Pinging is currently not allowed.